Sweet Tea, No Lemon - The way it's supposed to be. Sweet Tea, No Lemon - The way it's supposed to be. I recently built a GoPiGo robot car from Dexter Industries. 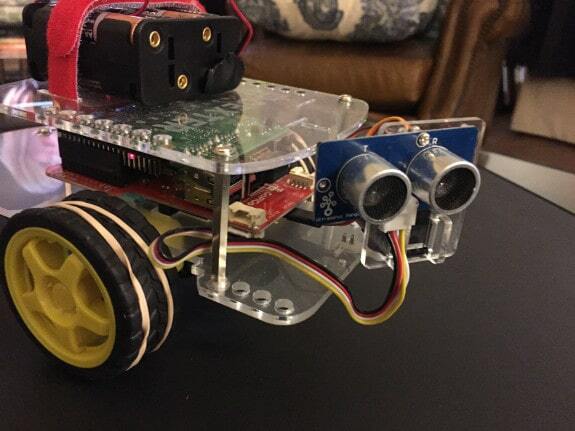 The car is a complete robot platform built around the popular Raspberry Pi single board computer. Once you build the car, you can log in to the robot over ssh or even a desktop environment via VNC. Either way, the robot’s behavior is fully programmable using a variety of languages. The most commonly used library is for Python, and that’s what I am using. GoPiGo, with a front-mounted rotating distance sensor. 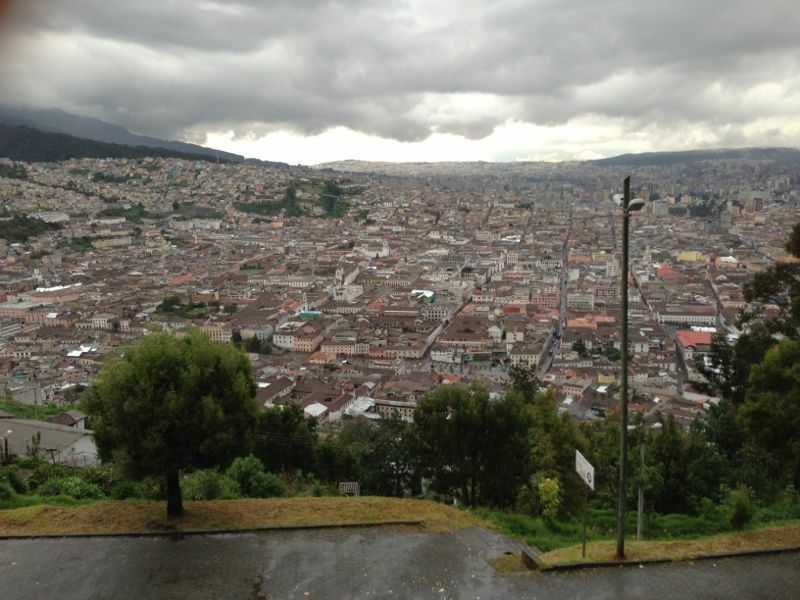 Dark clouds blanket Quito in this view from El Panecillo. An overcast sky was ever-present during our stay in Quito, but in many ways the weather just enhanced the scene. Instead of dulling the colors, the dark rolling clouds seemed to transform the landscape into a dark and rich painting palette. While headed to Quito’s historic Old Town, I took this shot of a typical street scene, framed by clouds and mountains. Mile-High City? Meh. Try 1.8 Miles. Because of our unexpectedly late arrival in Quito, it was late in the following day when we finally opened our eyes and officially arrived in South America. And, hey, does anyone else feel a little weird? Quito, Ecuador lies in the Andes mountains at an elevation of 9350 feet. Each of us had a mild headache for a day or two as we got used to the effects of the altitude. Our first hotel stay wasn’t exactly an immersion in the local culture, as I had booked a free reward stay at the Quito Holiday Inn Express. With 16 nights of the trip in hotels, it was nice to start out with a few free room nights. The Holiday Inn Express was as comfortable and familiar as one would expect. Just like in the US. Well, except for the armed security guard stationed at the front door 24 hours a day. To celebrate our twentieth wedding anniversary, my wife Jan and I wanted to travel somewhere exotic and far away. We settled on Istanbul, Turkey, and booked our trip immediately. Despite our impulsive decision, the choice proved to be an excellent one. Of all the places that I have traveled, no destination has delivered an experience like Istanbul. Our week in the city was everything you hope for in travel. If you like word games, you’ve got to try this iPhone app. I agree with one of the reviews I read: “Can’t. Stop. Playing.”! Download the original Moxie from iTunes here. Update: LiveMocha no longer exists, nor does the Falling in Love with San Miguel site, so I removed the links below. Oh well! 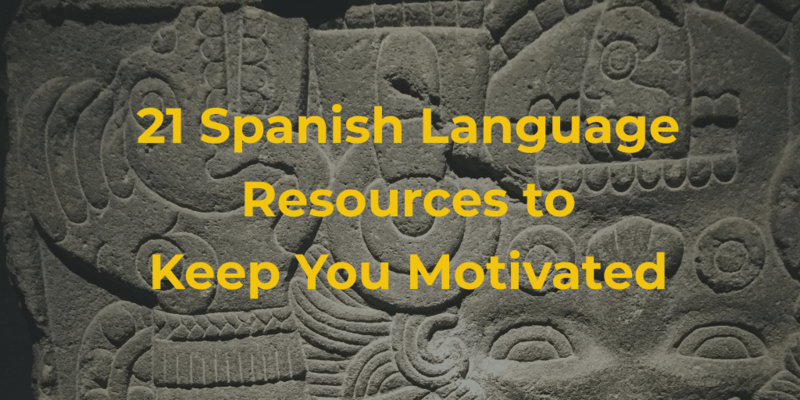 In the lengthy time since my last blog post, I’ve been steadily improving as a Spanish student, mostly through reading and watching shows on DirecTV Más. 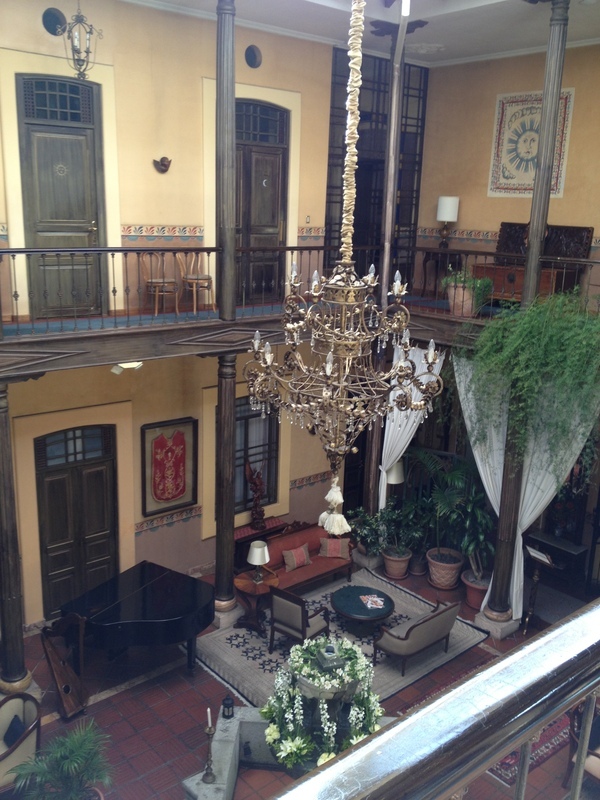 I was reading through some posts on one of my favorite American-Expatriates-in-Mexico sites (Falling in Love with San Miguel) when I came across a brief mention of a language learning resource called LiveMocha. Wow! I had no idea what I was missing out on.